In the late 1960s and early 1970s guitarists wanted hum-free tone based on the sound of an amp about to blow up. You asked, so we listened and created the Telecaster Deluxe in 1973. 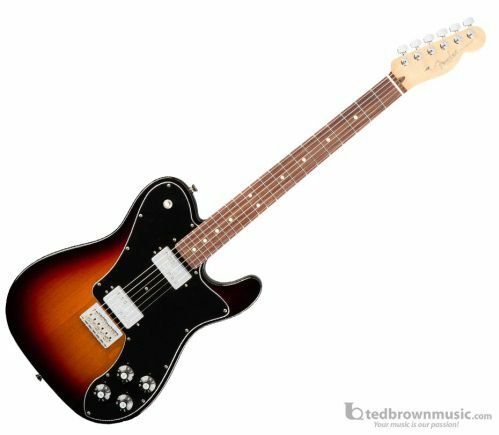 Today’s version, the American Professional Telecaster Deluxe ShawBucker, brings modern, player-oriented features to the stage and studio, and can still make an amp sizzle without breaking a sweat.